Newest Model: 2018 This Super Portable Karaoke System is a beautiful addition to anyone's home. Although rich in features, it's still easy to operate for both young and old. The enhanced cabinet has been designed to get the most power and best sound quality from the thundering 50W peak power speaker. 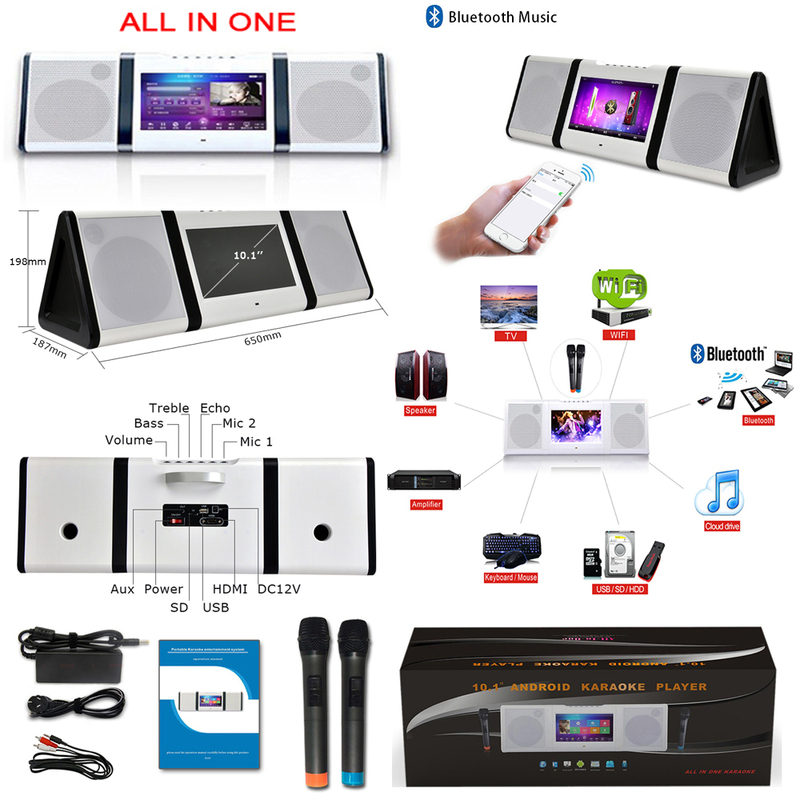 Keeping up with technology, connect your smart devices, wirelessly, with Bluetooth technology. Download music to your smart phone and play on the player's speaker. 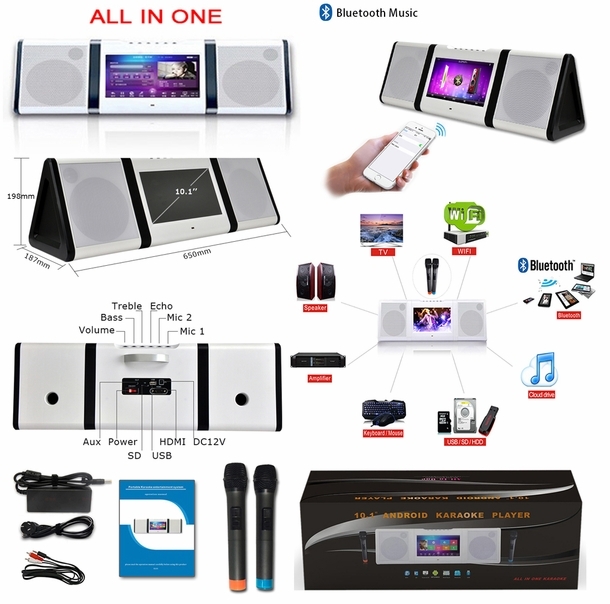 For those that like a little excitement, it comes with LED 10.1" Touch Screen Monitor, Which you can sing and Enjoy Karaoke Anytime & Anywhere. Also Built-in 5200mAh, Lithium Rechargeable Battery will last your entire party. 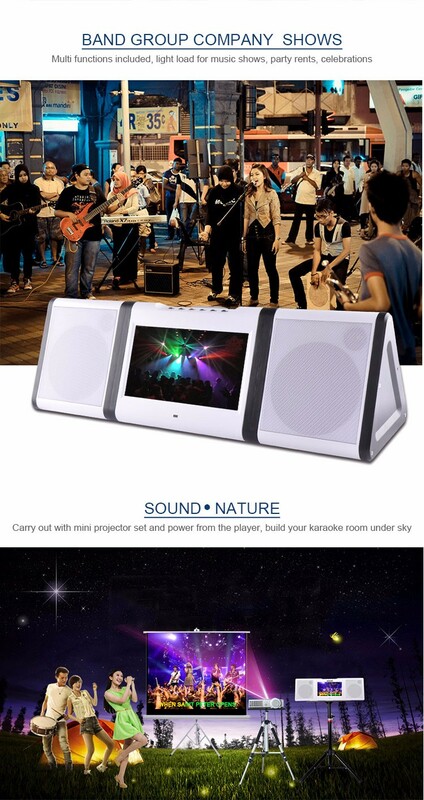 Great for outdoor, parties, park, camping, families and for the aspiring singer! MP3G & HD Karaoke Songs Preloaded in Hard Drive. FREE: UPS Ground Shipping Within 48 States.